Increasing uncertainty parameters in power systems have caused the system to require a controller in order to retain the stability at the time presence of renewable power plants and electric vehicles. 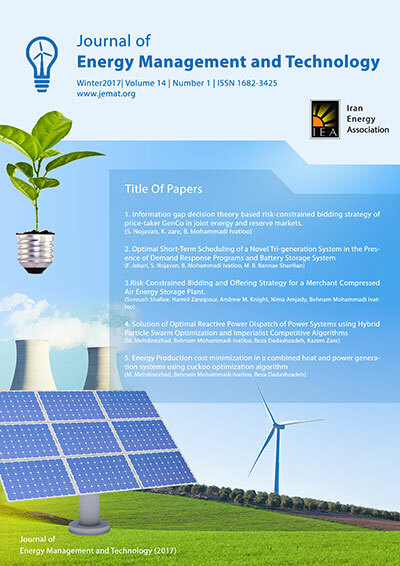 In this research, sliding mode and feedback linearization controllers have been proposed to control parking lots in the field of reactive power and access targets, those have been followed up, including improving the voltage profile, the performance of synchronous generators and wind power plant in the transient state by the application of this control Method. The proposed control method is simulated on the IEEE-9 Bus grid and the extent of achieving the desired targets is examined in the efficiency of parking in the field of reactive power. The codes have been expanding by using MATLAB open source code software. Hence, the system developed by modeling. The simulation results of this method indicate proper tracking of the control objectives in the normal grid conditions and the parking resistance of the transient States. It can be concluded that the presence of all-Electric Vehicles (parking lots) in the grid causes a reduction of 50% in the rotor speed fluctuations of synchronous generators and reduces voltage fluctuations by up to 10 times by the qualitative and quantitative aspects, which indicates a 7.4% improvement in voltage profile. Therefore, by maintaining the grid voltage in the appropriate range and limiting the current flow in rotor windings, has been avoided the possibility of damage to the rotor winding during a probable short circuit in the grid.